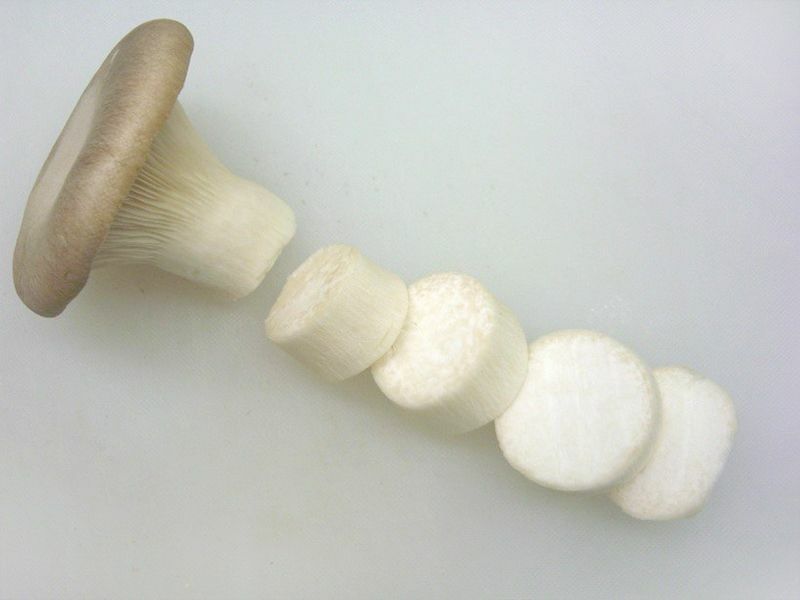 Hokto mushrooms are grown in an automated environment and usually never are touched by humans. And because our process, you will not see any dirt or dust on the mushroom. When our employees enter the facility, hand and shoes are disinfected in addition to dust and loose hair being checked to be cleaned. 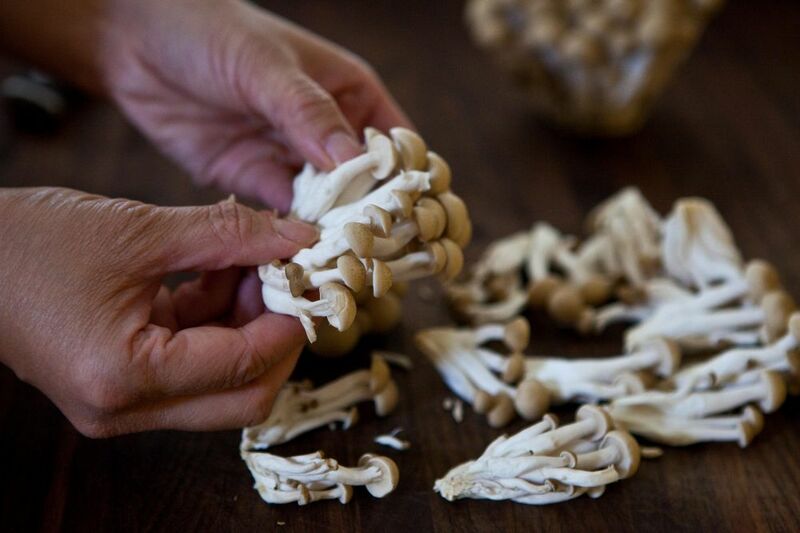 On top of that, we don’t use any agrichemicals, ensuring 100% USDA organic mushrooms. 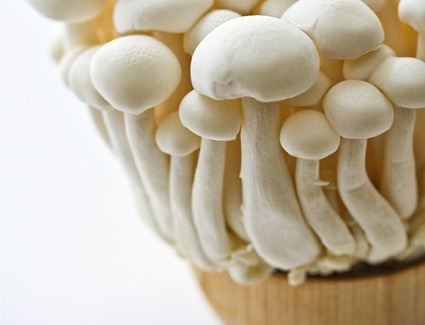 So there is no need to wash the mushrooms because they are grown in such clean environment. Mushrooms are made of hypha (fungi fiber), when you wash them, water gets in between the fibers thus affecting the texture and worsen fragrance. If you still want to wash them, you can lightly wash them or wipe with a damp paper towel. In any kind of produce, the more resilient, the fresher the product. 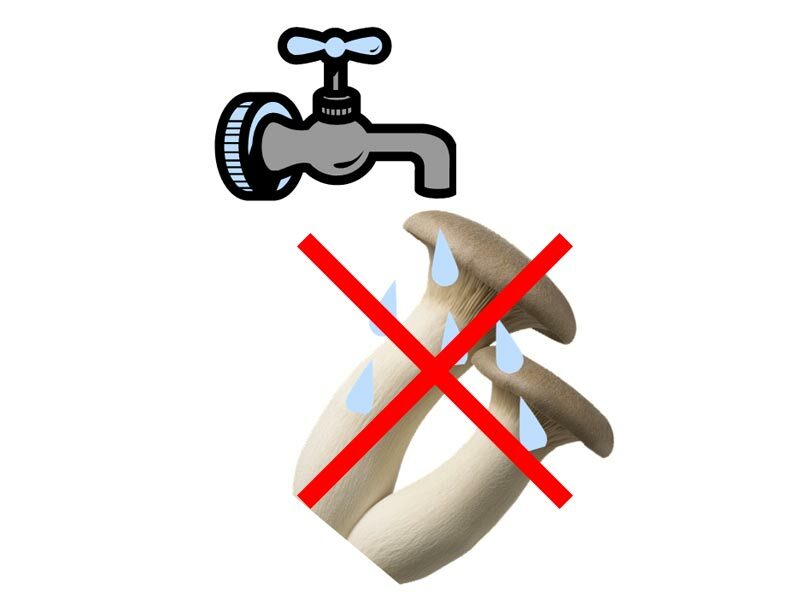 Make sure to choose mushrooms with firm caps and stems, that are not watery. Like all other produce, it is best to keep Hokto mushrooms in a cool location with a regulated temperature, such as refrigerator. When you keep freshly purchased Hokto mushrooms in the refrigerator, you may see the mushrooms become slightly wet as if it has sweated. 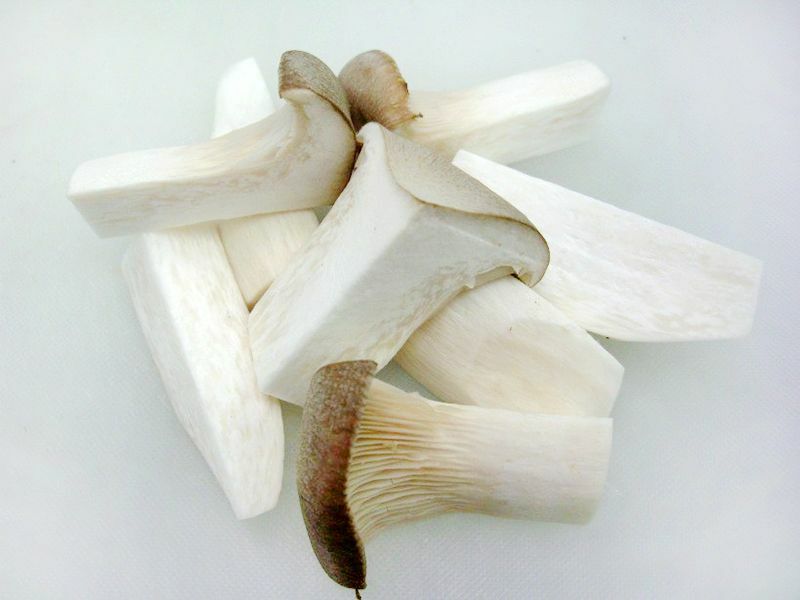 This is a proof that Hokto mushrooms are fresh and might collect moisture due to temperature a difference. The mushrooms are still fresh as long as they keep their resilience even if it produces moisture. 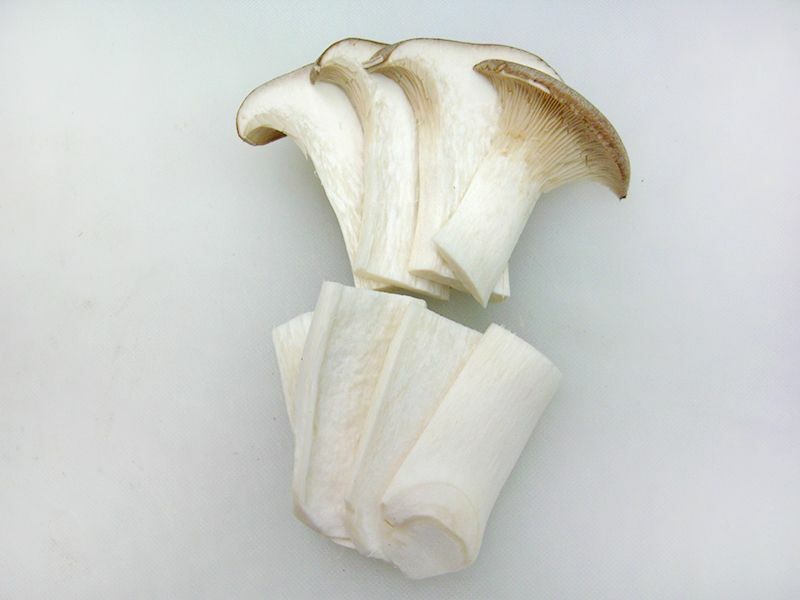 Hokto mushrooms are a fresh produce. After opening the package, it starts losing freshness. If you have any left over, you should wrap them tightly or wrap with a paper towel and put it in a re-sealable plastic bag, then keep them in the refrigerator. My Hokto mushrooms developed something resembling hair, Can I eat this? 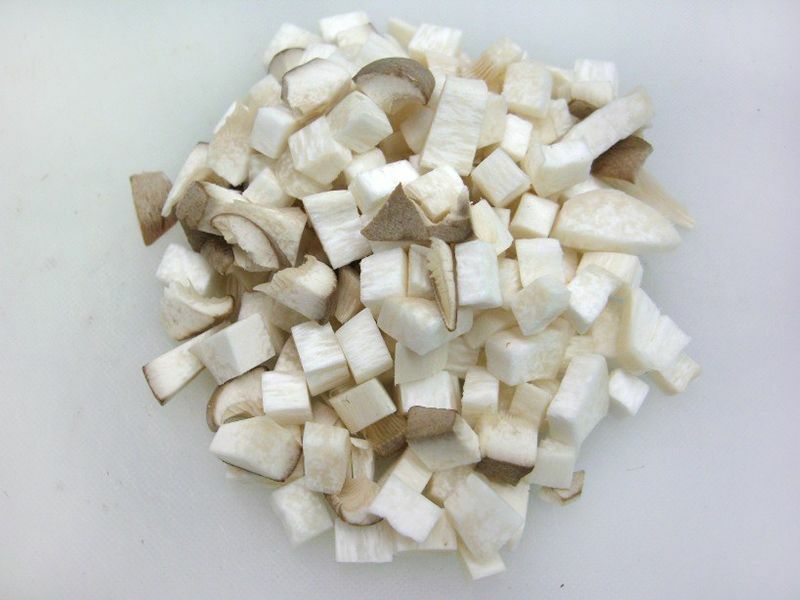 Hokto mushrooms are alive even after harvesting and packaging. 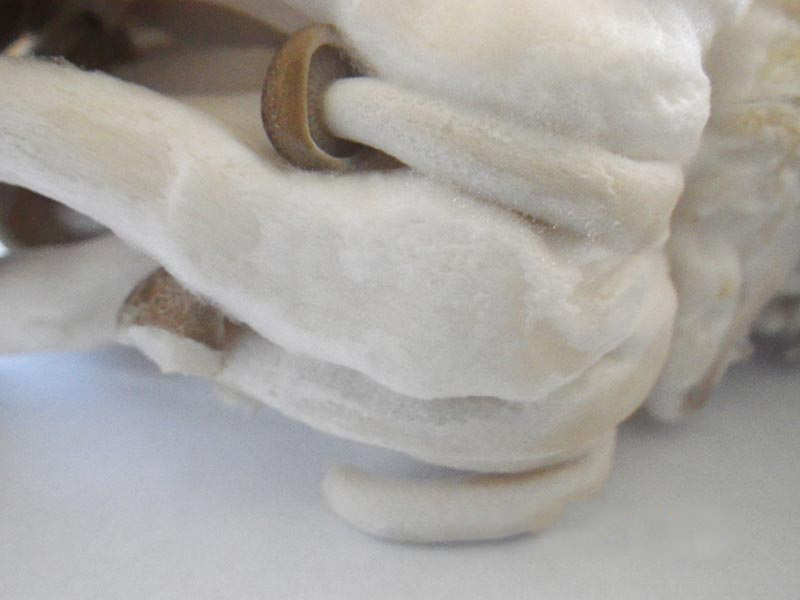 In some cases, the surface part of the mushroom starts to grow back, this is called “aerial hyphae” and are just the first stage in developing mushrooms. Despite appearance they are safe to eat. 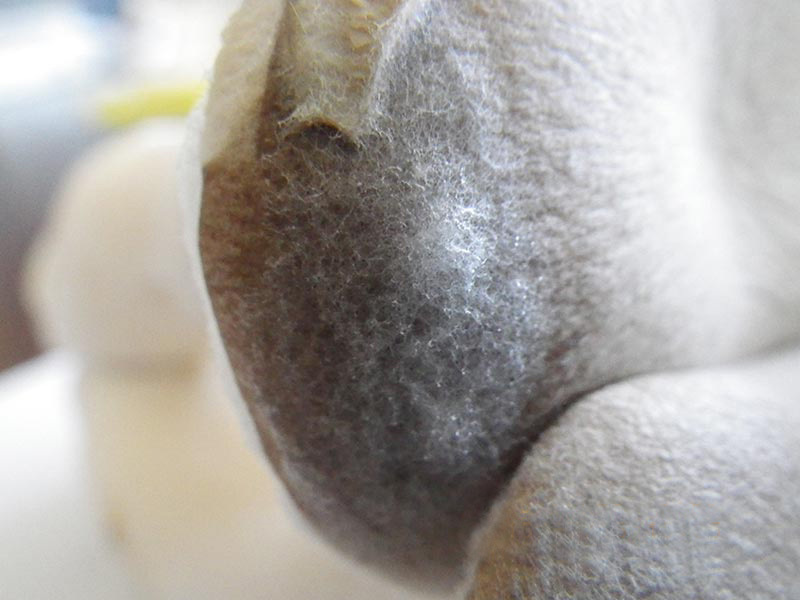 If you are still concerned, you can wipe these “hairs” off very easily with a wet cloth or paper towel. For best quality mushrooms, enjoy as soon as purchased. 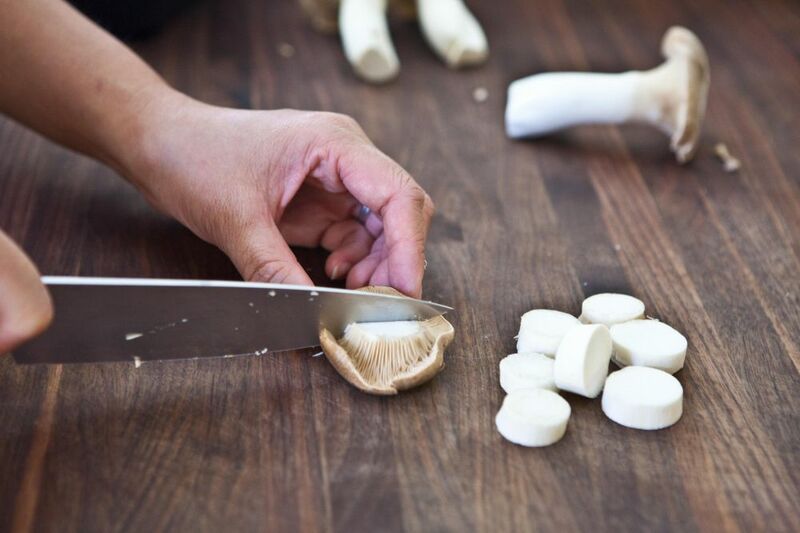 While we don’t recommend, it is better to freeze Hokto mushrooms in small portions, because they can quickly freeze which avoids texture loss rather than slow freezing. It is also convenient for reuse. However, you will lose the taste and resilience along with the nutrition for sure when you defrost. 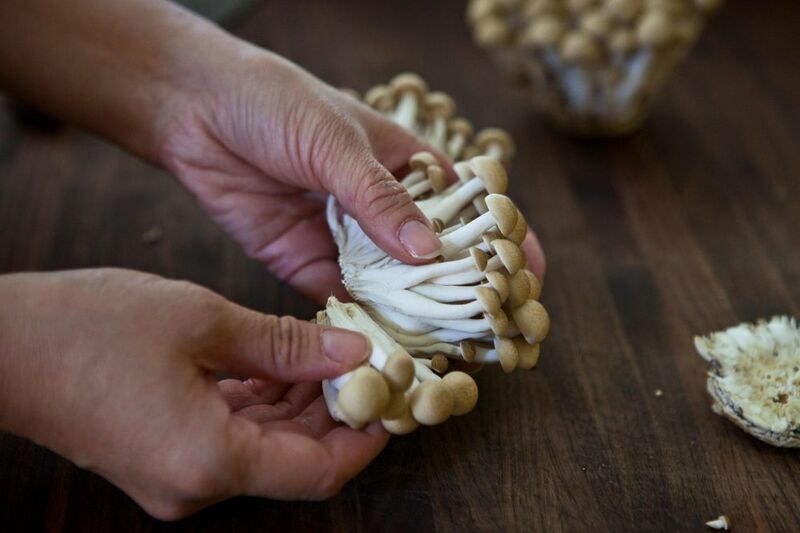 When cooking a soup, you might put many ingredients after the water is boiled, but Hokto mushrooms increase in umami best at 60-70℃ (140-158℉). Therefore they should be put so the soup can go through the temperature range releasing most umami. It is same when you stir fry, do not over cook. 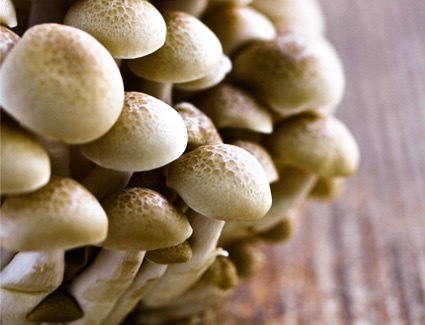 Furthermore, by combining different Hokto mushrooms you can multiply the umami. 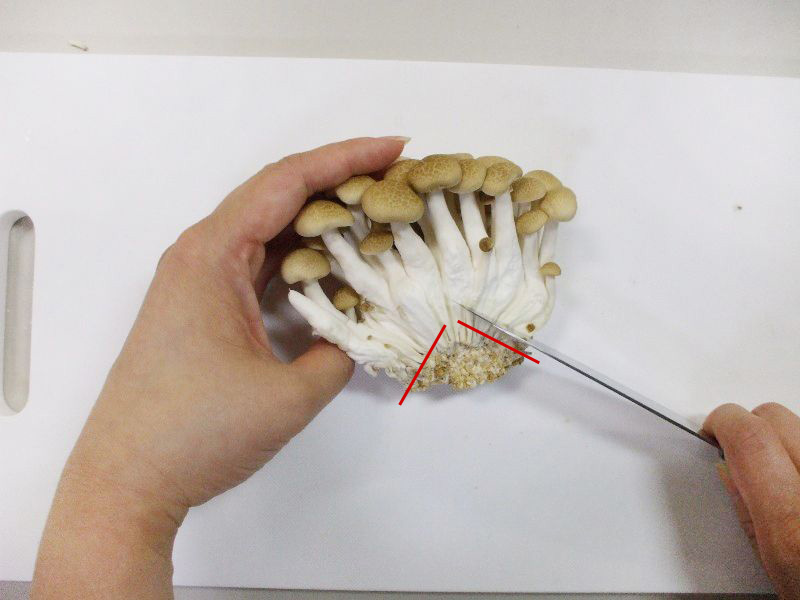 First, separate the mushroom into two halves (image 1), then cut the base off creating the letter "V", making sure not to cut off any part of the mushroom that is edible (image 2). 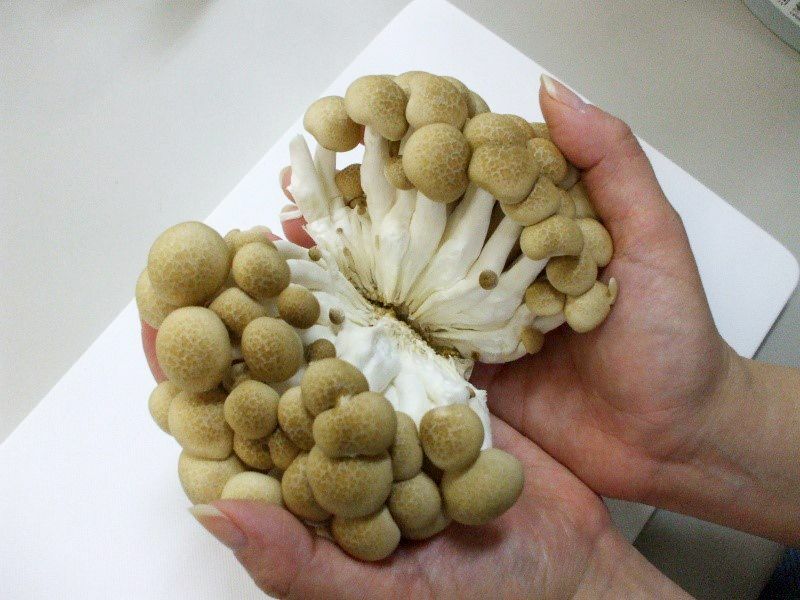 Make sure to pick Bunashimeji with thick stems. 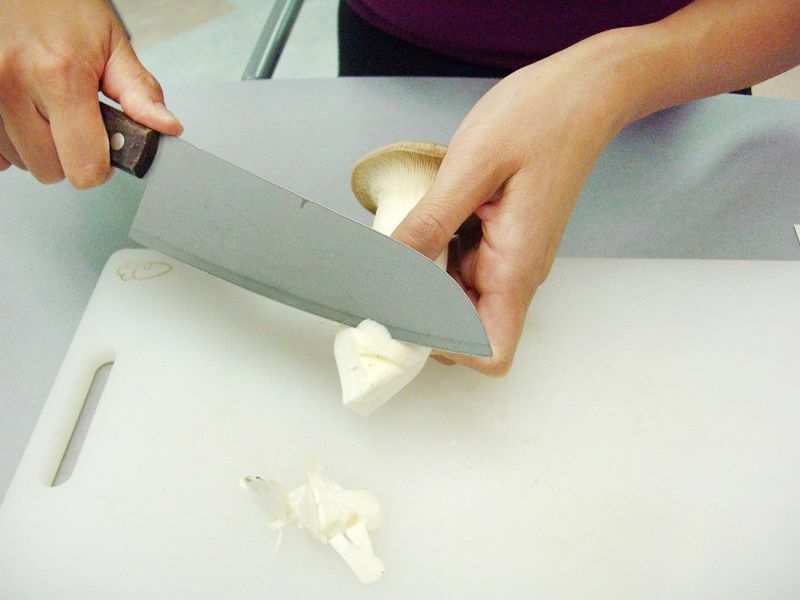 It is best to separate and chop up Bunashimeji to maximize its umami. 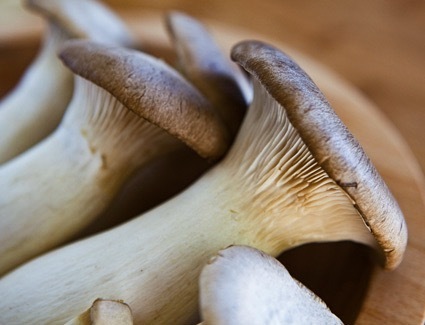 When cooking a soup, add the mushrooms before the water boils, this will allow for the release of its maximum flavor. 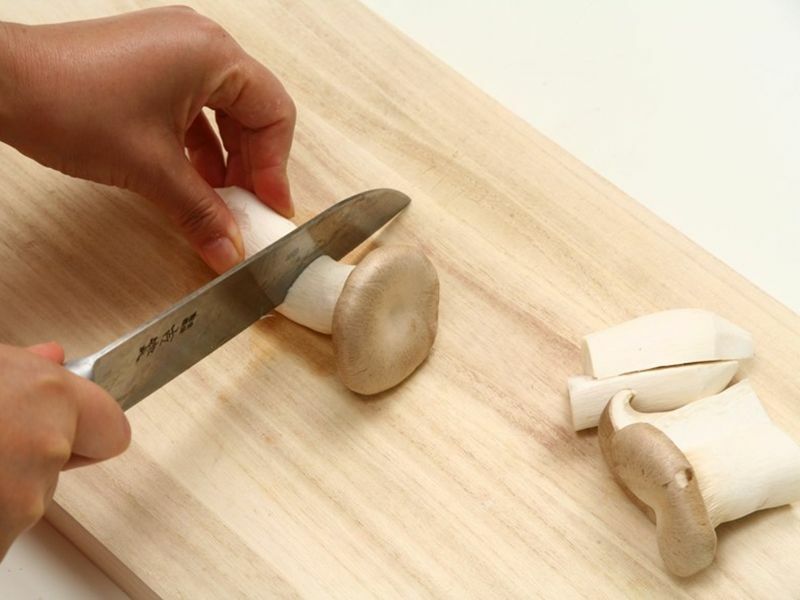 Separate the mushrooms into halves, remove the base, and start cooking! Feel the crispy texture, and even if you overcook the mushroom, it will not become soggy. It is usually best to separate Bunashimeji into a bite-size portions making it easier to cook and eat. In addition, by separating them individually, you will increase the volume of for a dish. *Both above are images of Bunashimeji. Like the Bunashimeji, Bunapi® has a base. Separate them to halves then cut the base in "V" angle. 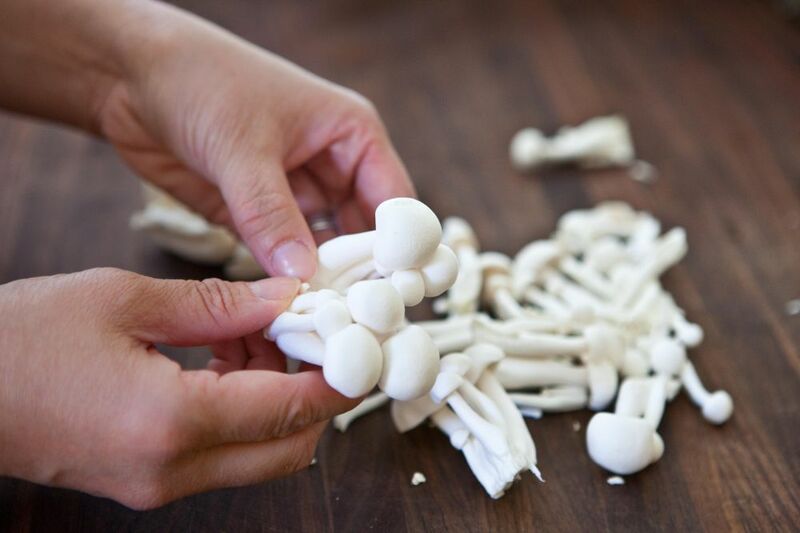 Unlike other mushrooms, Bunapi® bases are white so make sure you don't cut off the edible part. Like the Bunashimeji, it is best to separate Bunapi® into a bite size portion. By doing so, it becomes easier to cook and eat and will increase the volume of a dish. Bunapi® has almost no waste when cooking. It can be prepared in a variety of different ways, such as, simmered, slow cooked, stir-fried, or in a salad. Bunapi® is pure white, which can be used to enhance the color of your dish. By separating them individually, they can be used in a salad, soup or any kind of toppings. They will not interfere with the color of other foods, but rather enhance the other components in a dish. You don’t have to trim the base of an Eryngii because if is trimmed before being packaged. You can cook the entire Eryngii if you find residue on the base or any stains or dirt, feel free to cut off the tip of the mushroom. You can easily break apart an Eryngii with your hands. The thickness can vary depending on your preference and the recipe. 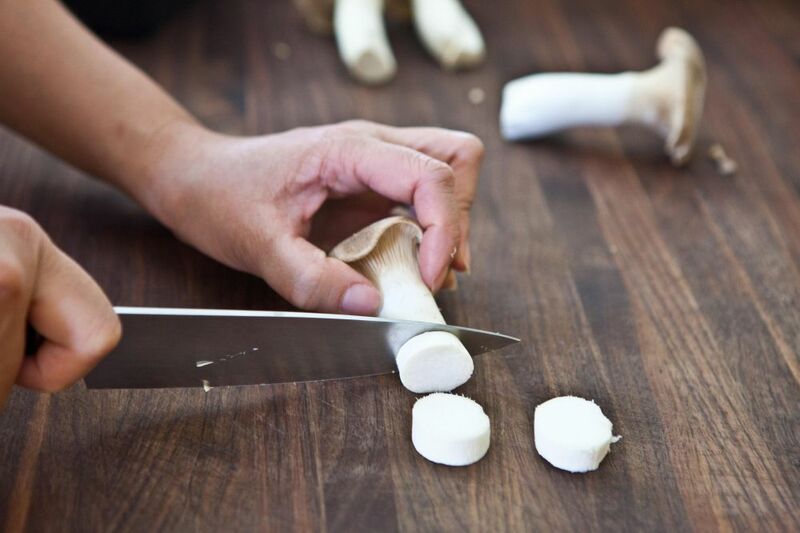 By using your hands instead of a knife, the surface of the mushroom will soak up more flavor and cook faster. Eryngii can be enjoyed in many different ways by varying its thickness. With a thick cut, you can enjoy a crispy texture, but it's recommended to cook them slowly. Simmering Eryngii will not make them soggy. 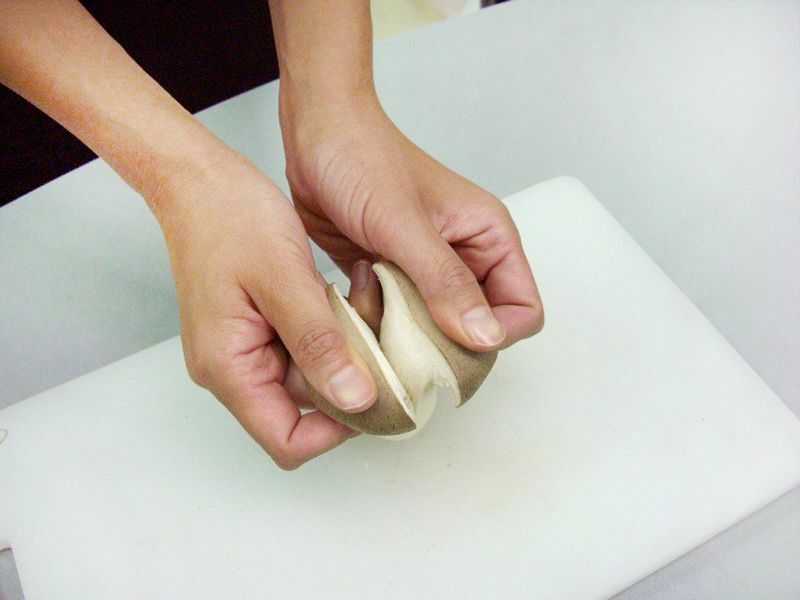 Cut the caps into 4 pieces to increase the volume of a dish. One of the most appealing aspects of the Eryngii is the crispy texture, but when cut in rounds, their caps can have a meat-like tenderness. Cut the Eryngii to break down its fiber, making it softer and easier to chew. Also using Eryngii as a meat substitute to decrease calories in a dish. What are the white powders around the caps? These are spores of the mushroom. The mushroom is still alive and fresh even after being harvested and packaged. Sometimes they will generate spores inside package. 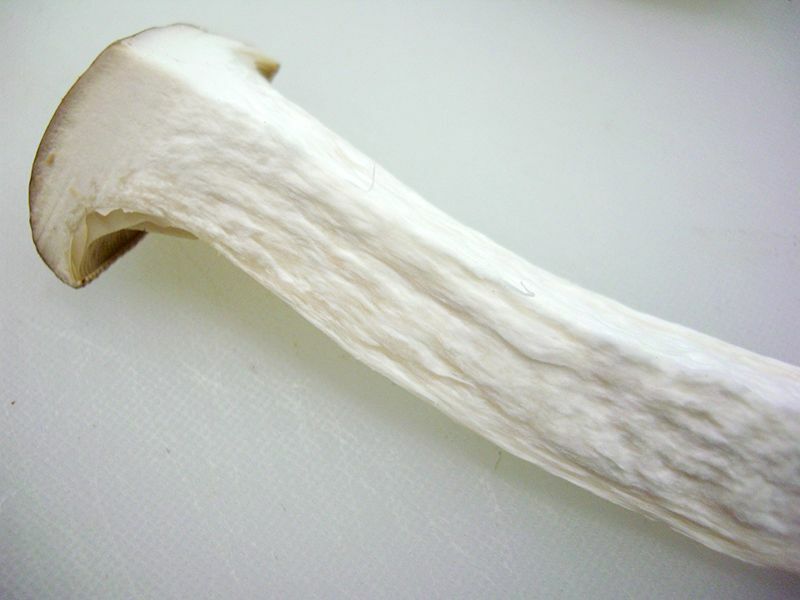 This does not affect the quality of the mushroom and is safe to cook and consume. Like the Eryngii, Maitake does not have a base. Do not wash Maitake mushrooms because it will reduce flavor. 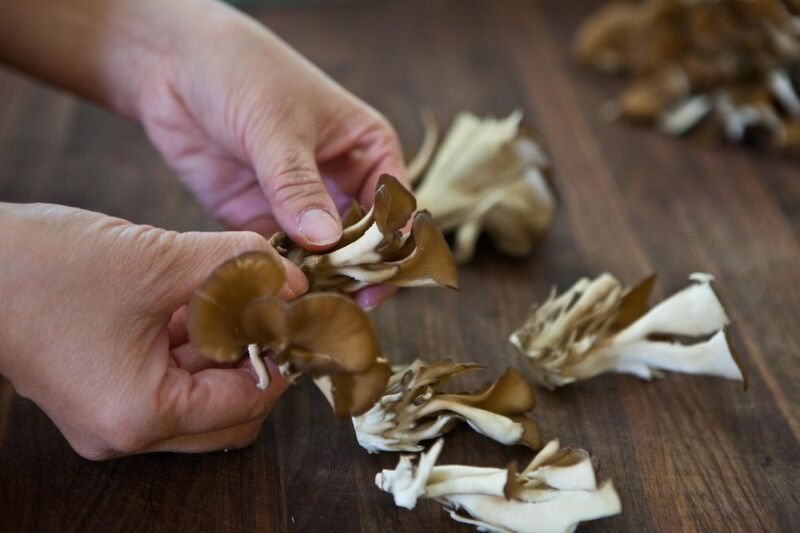 To save on prep time and improve the taste of your dishes, serve Maitake mushrooms as soon as possible after purchase. 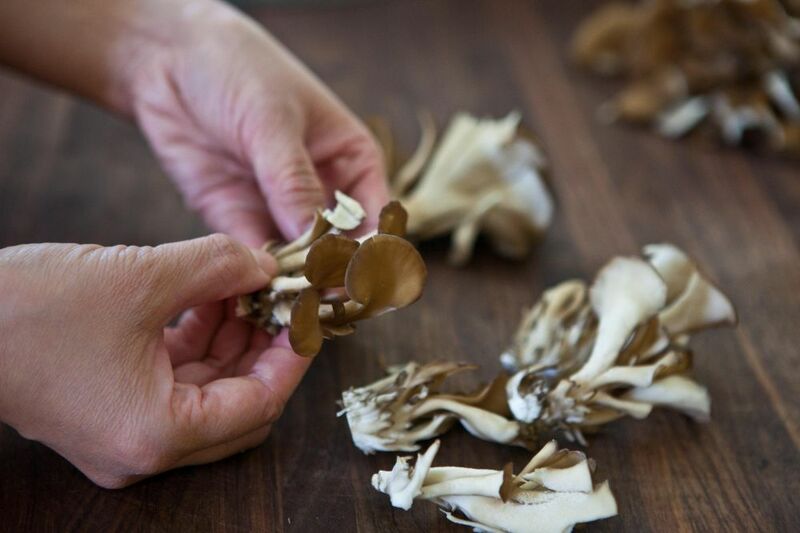 When you separate Maitake by hand, the textured surface of the mushroom will absorb more flavors. Some black liquid from the mushroom may be present, it is polyphenol, which is very nutritious and should be eaten. If you are concerned about the color of polyphenol, boil the mushrooms briefly to eliminate the black liquid. We do not recommend removing the black liquid. 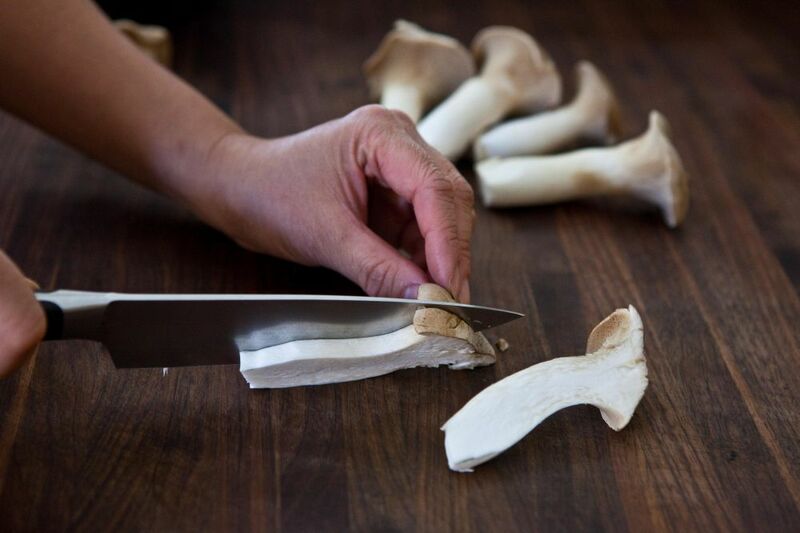 Maitake can be separated by hand, thus illuminating the need for a knife and cutting board. Because they are ready to cook, there is no mess to clean up. The best Maitake have thick, big caps. 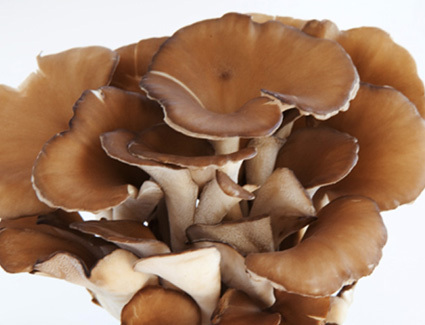 Hokto's Maitake have a rich, velvety texture with umami in every bite.